Cardington is a delightful historic village on the outskirts of Bedford. We are in the process of getting a local lady to talk to us about the R101 and Cardington Church where the ensign from the R101 is housed. 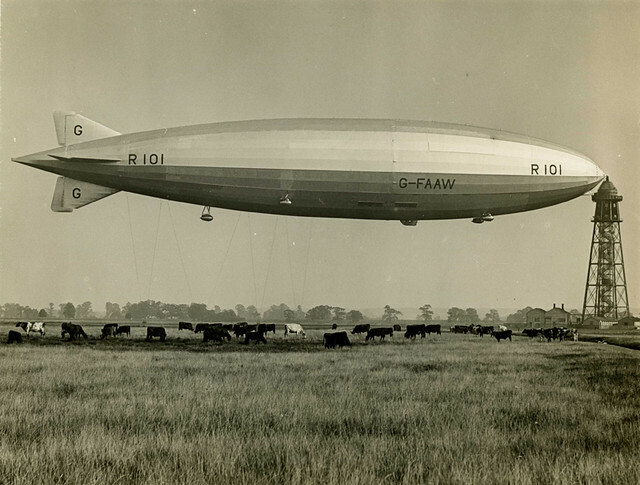 Cardington has been home to Short Brothers Engineering, John Howard the prison reformer and Samuel Whitbread the brewer, and of course the airship hangers. The airship hangers can be seen close by to our rally field. One hanger is used for filming while the other one is, at the moment, stripped to its framework awaiting repairs and reconstruction. Just across the road from the farm is The Kings Arms pub and restaurant. There is a bus service into Bedford so you can shop or wander down by the river. Also there is a farm shop and butchery within a short walk from the site. If you own a set of Boules do bring them along and we can all have a game or two. We have ordered sunshine all weekend so do come and join us. If you miss the turning and land up in New Cardington beware of the bus lane, we nearly got caught by the camera when we thought we would take a short cut. If you do get lost follow the road through (from Cotton End) to the A421/428 roundabout then go right back on yourself to be able to turn left.